Just an FYI....At 3:14pm EST Space Shuttle Discovery landed at Runway 15 at the Kennedy Space Center. It marked a successful mission and was as always a picture perfect landing. As you may (or may not) know, I'm a fan of severe weather. Yeah, sunny days are nice, but there's nothing like watching a summer storm roll in. Today I was joined along with over 500 other individuals for the yearly Skywarn renewal training class. It's a pretty broad class covering items that the National Weather Service Office in Cleveland, OH wants reported during severe weather outbreaks (damaging wind, flash flooding, hail, snowfall, etc). Along with normal means of communication (phone, Internet, cellular, etc) once a severe weather warning has been issued, the Toledo area (Skywarn District 1) Ham-Radio repeater network is activated and Ham Radio operators begin assisting the National Weather Service in tracking and reporting the storm. This along with other measure give us direct access to meteorologits in Cleveland, OH so we can report potential life and property threatening weather. Microsoft finally released Internet Explorer 8. It's pretty close to IE7, but is more standards compliant. We've ran into a couple of clients that have some old IE6 and IE7 compatibility issues when rendering since some hacks were put in to deal with IE7 way back when.... In a pinch we enabled the IE7 compatibility mode on the website so it would work for them without any redesign and they've been quite happy with the results - everything renders just fine. So I would say go ahead, IE8 has my stamp of approval for anybody that wants to install it. Click Start, click Administrative Tools, and then click Internet Information Services (IIS) Manager. In the connections pane, expand the node for the server, and then expand . Click the Web site where you want to add the custom HTTP response header. In the Web site pane, double-click in the section. In the Name box, type X-UA-Compatible. In the Value box, type IE=EmulateIE7. Click Start, click Run, type inetmgr.exe, and then click OK. Expand the server you want and then expand Web Sites. Right-click the Web site you want and then click Properties. Click the HTTP Headers tab. Under Custom HTTP headers, click Add. In the Custom header name box, type X-UA-Compatible. In the Custom header value box, type IE=EmulateIE7. To specify an HTTP response header for your Web site using Apache 2.2, you can use the Header directive provided by the mod_headers module. The Header directive can occur almost anywhere within the various configuration files, but the main configuration file is httpd.conf. It can be limited in scope by enclosing them in configuration sections such as , , , and . By placing the directive in httpd.conf, all pages sent by your server within that scope will include the X-UA-Compatible HTTP response header. This will force Windows Internet Explorer 8 to use the EmulateIE7mode when rendering your pages. First, you need to ensure that the headers_module is loaded during server initialization. In the httpd.conf file, uncomment the line by removing the “#” at the start of the LoadModule line for headers_module. You can use a text editor such as Notepad to do this. When complete, it should read as below. To add the header to all pages on the server, add the following line to the httpd.conf file after the LoadModule lines. It may not be desirable to apply the header to every page on the server. The directive can be used to change the configuration for content in the Web space, relative to the document root. For example, the following configuration applies the HTTP header to any URL-path that begins in /store. It will apply to requests for http://yoursite.com/store and http://yoursite.com/store/file.html as well any other requests beginning with the /store string. 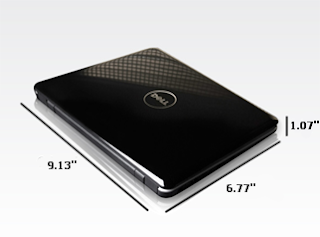 Well I finally hit 35 years old last weekend and my wife bought me a Dell Mini 9" ultra-portable laptop for my birthday. I wonder how she knew? When unboxing it, the first thing you notice is how small and light it is (less than 2 pounds). I fired it up and removed all the crap that they ship with it (except the webcam application - that's fun to play with). It boots up pretty quick and the screen is clear, bright and very easy to read. The keyboard takes a bit of getting used to but it's pretty usable. I got the unit with 1GB of memory and the 8GB SSD (Solid State Drive) and when it's running you hear NO noise whatsoever. None! I have it on my night stand and hear nothing! Today, I'm backing it all up - I have it all setup with Windows XP, Slingbox, Firefox, etc and I'm going to install Mac OSX on it for testing some development work I'm doing. That'll take a little bit of time, but should be a lot of fun. Here at Burns Software we're fascinated by the United States and International Space Programs. It's very rare that we get to see the live launch sequences, and all the things and people that make it a successful mission. Here's a view at the T-Minus 9:00 hold pattern from the developer lounge here at Burns Software. Just for those that missed it, it was a beautiful launch! You can check out some footage over at www.nasa.gov. God speed Discovery and good luck accomplishing your mission objectives. We support you! Anyway, back in 2004, Amy bought me a Sony mini-DV Handycam. It was and still does have an excellent Carl Zeiss lens. It took pretty good standard definition movies. This camcorder would get pulled out on Christmas, birthdays, etc for shooting some home movies and until recently we just stopped using it. Well, back when Sydney went to Safety Town I had to work so I asked Amy to record the production. When she brought it home she said she had problems taping the performance, but she finally got it working. But I noticed that during playback the screen was playing green pictures and cutting in and out. I was chewing Amy out saying how bad of a photographer she was, etc, etc. Well, I just so happened to plug this camcorder in today and was going to get some of the DV recording for some compilations and noticed that the Camera portion was just recording black. The audio worked, the LCD screen playback worked, etc. The only problem was recording. So I hopped on Sony's site and after some digging noticed a post back in 2006, that they finally acknowledged a problem in the CCD sensor and my unit was exhibiting the same issues. The bulletin says they'll repair the unit for cameras with this issue until March 31, 2009. Holy smokes! I might get lucky. I filled out the form, paid the $15.00 shipping fee and am awaiting a UPS label that Sony's shipping me. Awesome! This might actually get me to change my mind about Sony! Wish me luck. As you know, here at Burns Software, we do more than just software development. We do it all from web hosting, to server building and maintenance, web development, iPhone development, you name it - we do it! Anyway, the wife has a birthday dinner scheduled for5:00pm tonight and I'm trying to wrap it up by then. Another thing I noticed was that some of the rats nest I have going on for the video distribution network (below). I've got to clean that up before it gets worse!